It’s been about two and a half weeks since the birth of my son and his day of birth is something I have spent a lot of time thinking about every day. Cullen’s birth was very much the opposite of the amazing, magical birth that I had spent so many hours imagining. I am a planner. I plan. Everything. So of course I spent a lot of time researching and planning for something as important as the birth of my first child. 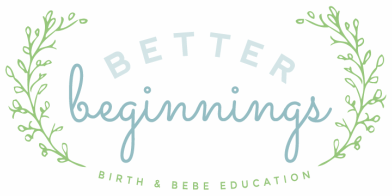 I read books, I read countless articles and blogs online, and I took an awesome Lamaze class. All of that helped to prepare me for the natural, un-medicated childbirth that I had planned. But we are not the ones in charge and, as is often the case, my plan was not the plan to be followed. On March 22, 2013, two days after Cullen’s due date, I woke up at 3 a.m. to make my nightly trip to the bathroom. I couldn’t fall back to sleep, so I got up and went out to the couch to read. I read until about 5:00, when I fell back to sleep. During those two hours I was awake, I was vaguely aware that I wasn’t feeling Cullen make any movements, but didn’t think much of it. It was still in the back of my mind when I got up for work at 6:30 and continued to nag me as I got ready for work. I gulped down a large glass of orange juice before leaving for work because I still had not felt any movements. On the way to work I was trying my hardest to not make a big deal out of nothing. I tried, unsuccessfully, to nonchalantly mention the lack of movement to James, but he could hear the fear in my voice. James is so absolutely fantastic about being level headed and helping me to keep control over my emotions. He calmly said that everything was fine, but I should just pay attention and see what happens. At 9:00, after the large glass of orange juice, oatmeal, and coffee, I still had not felt Cullen move. I couldn’t focus on work, so I drank a large glass of ice water and laid down on the day bed in our office. After 30 minutes of lying on the bed and not feeling anything, I was officially panicked. Cullen was always very active from around 8:30 to 9:30 so not feeling anything was getting very scary. I know that I have an overactive imagination so I was trying so hard to not let my emotions get out of control, but everything about that morning felt so wrong. I called my doctor’s office and told them that I hadn’t felt any movements that day and asked if I could come in for a quick check to give myself peace of mind. They told me to come right in. Thankfully, James was able to come with me and we arrived at around 9:45. The nurse checked Cullen’s heart rate with the Doppler and it was a strong 160. I felt immediate, immense relief to hear that little heartbeat. To be on the safe side, they also hooked me up to the fetal monitor. I laid there on the bed, listening to Cullen’s heartbeat and hoped and prayed that everything was okay. But James and I started noticing that when a little Braxton Hicks would register on the monitor, Cullen’s heart rate would decrease slightly after the contraction would finish. We knew this was a bad sign. At one point, after one of the stronger Braxton Hicks, Cullen’s heart rate plummeted to 80 and stayed there for what seemed like minutes. It was at that point that I finally felt Cullen move for the first and only time that morning. He suddenly began what felt like thrashing around for only a couple of seconds and then was once again still. That was the last time I felt my baby move inside of me. It didn’t feel like a good movement. While his heart rate was rapidly decreasing and then holding steady around 80 beats per minute, I was repeatedly and frantically asking James, “What’s his heart rate, what’s his heart rate? !”, as I once again began to panic. Finally, finally Cullen’s heart rate returned to normal. At that point, I didn’t care how, I wanted Cullen safe and sound on the outside of my body. It was the first time I felt that my body was failing him and was no longer the perfect and safest environment. The nurse came back in to check on us, took one glance at the read out, and said, “I don’t like this.” She stepped out to call my doctor, who was still at the hospital, and returned a couple of minutes later. She said that we needed to go the hospital right away, and I needed to prepare myself to have the baby that day, most likely via C-section. James and I asked if we could run home to get the hospital bag that we had packed and she told us that was not an option, we had to get to the hospital immediately. I think at that point, James and I were mostly in shock over the events of that morning. What started out as a perfectly normal day had quickly become incredibly scary. On the way to the hospital, James and I talked about how crazy everything had gotten and how we could be holding our child in just a few hours. I called my doula, Kate, to let her know that we were headed to the hospital. We arrived at the hospital a little after 11:00 and went to Labor and Delivery. Coincidentally, the pediatrician we had chosen was already at the hospital (the presence of a pediatrician is required at all cesarean deliveries). The nurses were expecting us and had a room prepared. I got changed into the hospital gown and all of a sudden several nurses rushed in and started prepping me. One was giving me an IV, one was putting the fetal monitor on, one was asking questions. My doctor came in and told me that based on what he saw on the monitor at the office, he felt that we needed to get the baby out as soon as possible. Because the Braxton Hicks were putting Cullen in distress, my doctor felt that he wouldn’t be able to tolerate labor contractions and a cesarean was the only option. The only decision he had yet to make was if we could wait for me to get the spinal or if I would need to be put under. At some point the anesthesiologist also came in the room to ask me questions. I was so overwhelmed with everything that was going on that my recollection is mostly a blur of activity. I was texting Kate to give her updates during the short periods of time that no one was in the room. I did not believe that I would need general anesthesiology and that I had a while before I would be getting the C-section. I’ve seen A Baby Story and these things take time. All of a sudden, my doctor and the anesthesiologist came in, said they were going to put me under, my doctor left the room and the anesthesiologist started to take my bed out of the room. I immediately started crying and asked them to wait so I could say goodbye to James. I couldn’t believe they were just going to take me away without even a minute’s notice! James leaned down and gave me a quick kiss and then I was gone. I was woken up some time later by a woman holding the most beautiful baby boy saying, “Sarah, wake up and meet your baby.” She laid Cullen on my chest and as I stared down at my son I was not only speechless, but also thoughtless. I was in such disbelief and amazement that I couldn’t even form a coherent thought (the anesthesia may have also had something to do with that!). I think the only thing that I managed to say was, “This is my baby?” The lactation consultant suggested that I try to nurse him and he latched on immediately. I nursed Cullen for an hour and fifteen minutes! The LC and other nurses couldn’t believe that he just kept on eating! We laid there, skin to skin, the entire time. After Cullen was finished eating, the nurses brought me from the recovery room up to my postpartum room, where James and Kate were waiting. The only reason I got that magical time with my son was because of my wonderful husband and doula. They were vocal about our wishes and instead of the normal 3-4 hours that babies generally spend in the nursery after birth, Cullen was only there for about 45 minutes. They also got permission for Cullen to be brought down to me in the recovery room to get skin to skin contact and begin nursing, something that had never happened before at Biloxi Regional. Cullen was the very first baby born at Biloxi Regional via C-section to nurse an hour after he was born, something I hope will soon become the normal procedure. Cullen was born at 12:06 p.m., less than an hour after we had arrived to the hospital. He was born with the umbilical cord wrapped around his neck three times and was completely limp when he was delivered. He received oxygen for 30 seconds before he pinked up and began crying. James was waiting outside of the operating room and even though he didn’t get to witness the birth of his son, he did hear Cullen’s first cry. My doctor believes that something had begun to go wrong, but because we caught it early enough we avoided any possible negative outcomes. I’m thankful for my intuition, knowing that something wasn’t right, and I’m thankful for my doctor who wasn’t willing to take any chances with the health of my son. I don’t feel that I gave birth to my son. He was born from my body, but not because of anything I did. I didn’t even get to experience labor. I went to sleep and woke up with a child. I missed everything. It makes me sad to know that no one who loves Cullen saw him enter this world. But despite having missed his birth entirely, I would do everything over the exact same way to ensure Cullen’s health. I had a plan for Cullen’s birth that listed all of our preferences and outlined our ideal birth experience. But the only thing that truly mattered in our birth plan was a healthy baby, and every day I’m so very thankful for my beautiful, healthy boy.